I have to admit to having a bit of a ‘thing’ about Brighton, at the moment. Probably because Love & Freedom is set in and around that ‘Little London by the Sea’ so I’ve been down there quite a lot on research. And I’m planning to visit to do some promo, too – watch this space (there may be chocolate involved). When I was in my late teens Brighton meant fun weekends and holidays with loads to do and an amazing music scene. OK, the beach was a bit crunchy but the piers – they were both open, in those days – were fun; also the pubs, clubs, shops and markets. Musicians set up in parks and the police didn’t steal your beer if you happened to be drinking it in public. I’m a trifle older now (pause for raised eyebrows) but I still love Brighton and always have fun there. One is free to enter and has three £10 prizes as well as publication on their site. You need to write a non-fiction piece on the subject of your own choosing. Word limit is 500. Deadline is 30th April 2011. There’s a fiction competition too. The deadline is 31st May 2011. It costs £4 to enter and the word limit is 3000. There are three cash prizes of £100, £50 and £25. All shortlisted stories have the option of publication on our site as well as being broadcast, where appropriate, on the local hospital radio network. 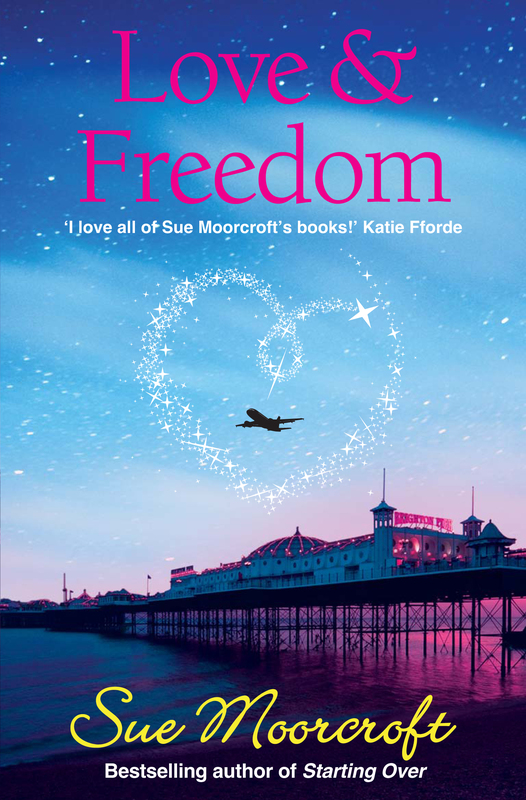 Love & Freedom will be published on 1 June and is available for pre-order, now. As you can see, Brighton Pier is on the cover. Good cover, huh?